Reference Website for concise Information. Srijan Midlands Community (SMC) forum provides various useful information about the society and the daily needs in Srijan Midlands (SM). Using this forum you can discuss with the whole society very easily right from your mobile and desktop. This inquiry we do to validate an authentic owner / tenant prior to accept the membership. 1. Like the Page https://www.facebook.com/SrijanMidlands and write on it or message (Note - this is a public page!). 2. Be Friend on Facebook https://www.facebook.com/iSrijanMidlands and write on its wall or message (Note - this is a semi-public profile! Both SM Facilitators and Owners can be found here). 3. 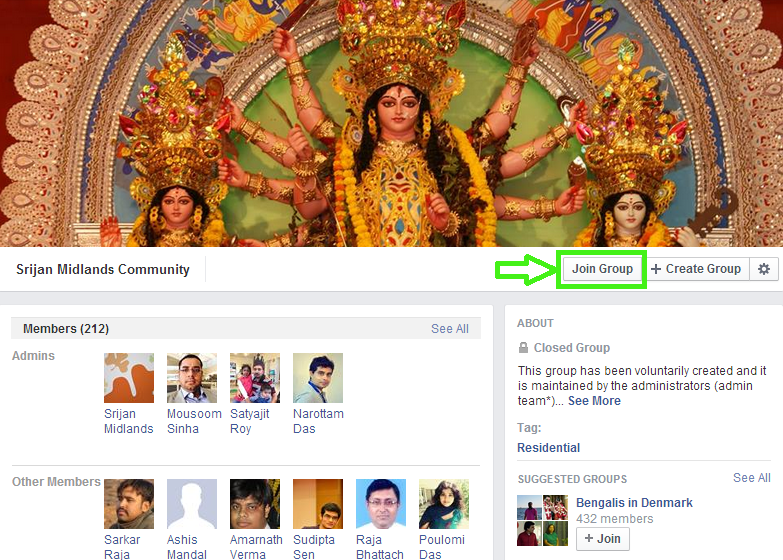 Request to join https://www.facebook.com/groups/srijanmidlands the Admin Team will contact you (Note - this is a private Group / forum! Only SM Owners and Tenants are allowed here). Please check your 'Others' messages in Facebook regularly until your access is granted if you follow this approach. *N.B. It requires a Facebook account, you need to create and activate one if you don't have it yet, its simple and free. A forum by the owners for the owners! Nothing official about it! Completely free of cost!